Prevention of head injuries is an important factor in every safety programme. A single injury can handicap an employee for life, or it can be fatal. In a survey of accidents and injuries by the American Bureau of Labor Statistics (BLS), a division of the US Occupational Safety and Health Administration (OSHA), it was noted that most workers who suffered impact injuries to the head were not wearing head protection. The majority of workers were injured while performing their normal jobs at their regular worksites. The survey showed that in most instances where head injuries occurred, employers had not required their employees to wear head protection. Of those workers wearing hard hats, all but five percent indicated that they were required by their employers to wear them. It was found that the vast majority of those who wore hard hats all or most of the time at work believed that hard hats were practical for their jobs. According to the report, in almost half of the accidents involving head injuries, employees knew of no actions taken by employers to prevent such injuries from recurring. The BLS survey noted that more than half of the workers were struck on the head while they were looking down and almost three-tenths were looking straight ahead. While a third of the unprotected workers were injured when bumping into stationary objects, such actions injured only one-eighth of hard hat wearers. Elimination, or control of a hazard leading to an accident should, of course, be given first consideration, but many accident-causing head injuries are of a type difficult to anticipate and control. Where these conditions exist, head protection must be worn to eliminate injury. Some hard hats can be modified so you can add face shields, goggles, hoods, or hearing protection to them. Wearing head protection will save you from head hazards and some of the smart safety controls are below. Wearing a safety helmet on a construction site may prevent or lessen a head injury from falling objects or a person hitting their head against something. There is a legal requirement for industry to be responsible for managing workplace health and safety. This requirement, expressed as the Duty of Care principle, is the basis of the Occupational Health and Safety Act, 1983. Implementing the Duty of Care principle means planning for prevention of workplace accidents, injuries and illness. The need for safety helmets to be worn on construction sites should be established by the person in control, conducting a hazard assessment. Note: It is Compulsory to Wear a Safety Helmet When Carrying Out Demolition Work. Construction Safety Regulation 84(32). All safety helmets worn on construction sites should conform to quite specific EN standards. Obviously, the requirement for head protection will be greater in some industries than others. A major manufacturer who has been a leader in the abrasive blasting and grinding industries since the 1930s developed a supplied air abrasive blasting respirator for use in the construction of the Golden Gate Bridge. The harsh conditions experienced in abrasive blasting and grinding require advanced protection, where the best protection will be designed with the wearer’s comfort in mind, and created with optimum visibility, a no ‘closed in’ feeling, and with easily replaceable components and climate control options. Whether blasting with sand, coal slag, walnut shells or another industrial material, the workers need protection against the dangerous rebound created in this process. Look for abrasive blasting respirators and a neck cuff designed to provide a physical barrier to airborne contaminants. There are products on the market proven to achieve Assigned Protection Factors of 1,000 in third party testing. This is in sharp contrast to an Air Purifying Respirator (APR), which is only rated for 10 APF (half-face) and 50 APF (full-face) and does not meet the NIOSH requirements of a Type CE respirator, which includes rebound protection. 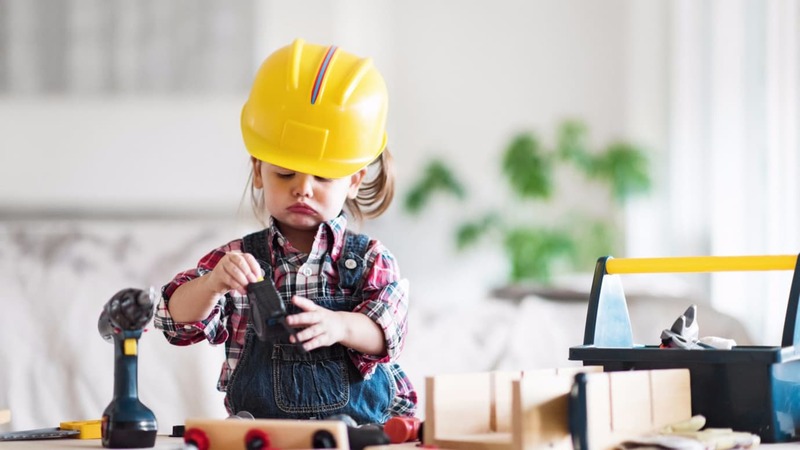 While you would of course want to avoid injuries either by engineering hazards out of the workplace or by wearing appropriate head protection, it is worth taking stock of the possible consequences of a blow to the head - namely the potential for a brain injury. According to Headway, the brain injury association, one million people attend hospital A&E in the UK following a head injury, while many more head injuries go unreported and are not assessed by medical professionals. It’s clear that the above symptoms of brain injury are ones any employee would want to avoid, and any employer would want to prevent. There’s no question that injuries to the head are very serious - so use your head and wear your hard hat. It might just save your life today? Cynthia Roth has been a professional in the ergonomics industry since 1987. In 1993 she co-founded Ergonomic Technologies Corp, (ETC), where currently she is the Chairperson of the Board and Chief Executive Officer. She has lectured to the Fortune 500 Companies in the US and abroad and to many international companies. Ms Roth lectures on safety, ergonomics, product designs, future trends, motivating employees, and biomechanics to top engineering universities and colleges around the world. Ms Roth was elected to the Board of the American Society of Safety Engineers Foundation (ASSEF), served as Vice Chair and Chair and currently serves on the American Society of Safety Engineers (ASSE) Council on Professional Affairs. She has also been appointed as a permanent member of New York State’s Commission on International Trade and has travelled to Brazil, Argentina and Chile on behalf of the State of New York. Ms Roth is a member of the NYC Advisory Board to the Mayor and has also served as a consultant to the Department of Labor, OSHA, Occupational Hazards and CTD News. She represents University of Pittsburgh, as a board member to Fiat Pax (using technology for world peace). Ms Roth is a published author having written the chapter on Ergonomics for Maynard’s Industrial Engineering Handbook, used by the majority of engineering students worldwide, and wrote the Handbook on Ergonomics for the National Safety Council. Ms Roth received a degree from the University of Pittsburgh as a professional registered nurse with specialties in Occupational Nursing and Biomechanics. She also completed postgraduate work at Cornell University in Labour Relations/Industrial Management. ? Contact: Cynthia L Roth, CEO, Ergonomic Technologies Corp (ETC)? T: 516.682.8558 ext.21?